Click on our store picture to see what's for sale inside! Biotech Equipment Sales is the best source of biotech and laboratory and scientific equipment for San Francisco, Emeryville, Hayward, San Leandro, San Jose, Stanford, Mountain View, San Carlos, and other Bay Area cities. Biotech Equipment Sales Inc. brings together Doug Young, Ray Balewicz and Scott Gordon, each of whom have more than 15 years Biotech Experience. Biotech Equipment Sales is your trusted source for new and used Biotech Equipment. Biotech Equipment is located in South San Francisco, California, USA, the Birthplace of Biotech, but we ship worldwide. Come to our showroom and see your new equipment in person before you buy it. We are conveniently located near SFO airport. Biotech Equipment sales sells Centrifuges, Ultralow Freezers, Refrigerators,Inclubators and CO2 Incubators, Shakers and a wide variety of other Biotech Equipment. From balances to pipettes to the newest AKTA Explorer, Biotech Equipment Sales has the equipment you need. We sell all equipment with a warranty, and we are experienced at helping customers select the exact equipment for their needs. Give us a call and let us help you decide what unit is perfect for you. If we don't have it, we will help you find it. Biotech Equipment Sales is the premier reseller of Laboratory Instruments and Biotech Equipment in the San Francisco Bay Area. 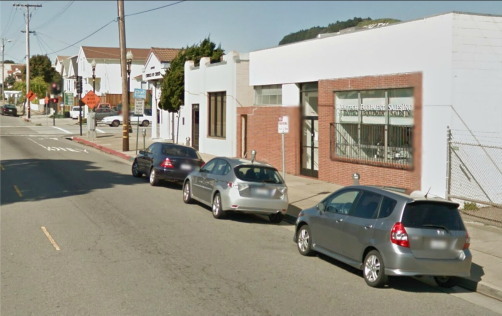 We are located in South San Francisco, the Birthplace of Biotech, we sell new and used lab equipment in the Bay Area. We carry a full line of Biotech and Laboratory equipment, including Centrifuges, Incubators, Ultra Low Freezers, Spectrophotometers, Microplate Readers, HPLC, -86 Freezers, Ultracentrifuges and much more. We will help you plan your laboratory if you are a start-up. We can provide asset management for existing laboratories. If we don't have it, we will get it -- for you!